Do NOT write books this way! "Wicket in Action" case. I've been just reading quite a good book on Apache Wicket from Martijn Dashorst and Eelco Hillenius and I got really pissed off at some point. I've always loved "... in Action" series because of its language, attitude to teaching the subject and quality of the material. I've had the same feelings with current book i.e. 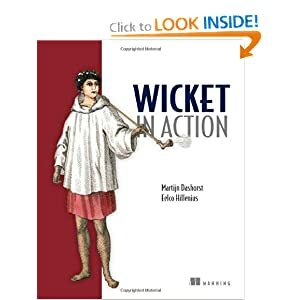 "Wicket in Action" until page 219 where authors were presenting advanced custom component creation and under one of the listings they wrote: "an elaborate explanation of it (the listing) is outside the scope of this book". WTF? How can a writer put something like this in his book? If you think the example is too difficult for the scope of current book don't show it at all! You could also redirect readers to the other resources like: "detailed explanation of this concept can be found at ...". But writing "an elaborate explanation of it is outside the scope of this book" is just stupid and frivolous! I pay for the book to have explanations of difficult and complicated subjects - not to read that it's out of the scope (show external resources!). I hope the authors will make an effort and upgrade the content of this book to the newest Wicket release 1.4.x that introduced Java generics and refactored many classes (e.g. validators).